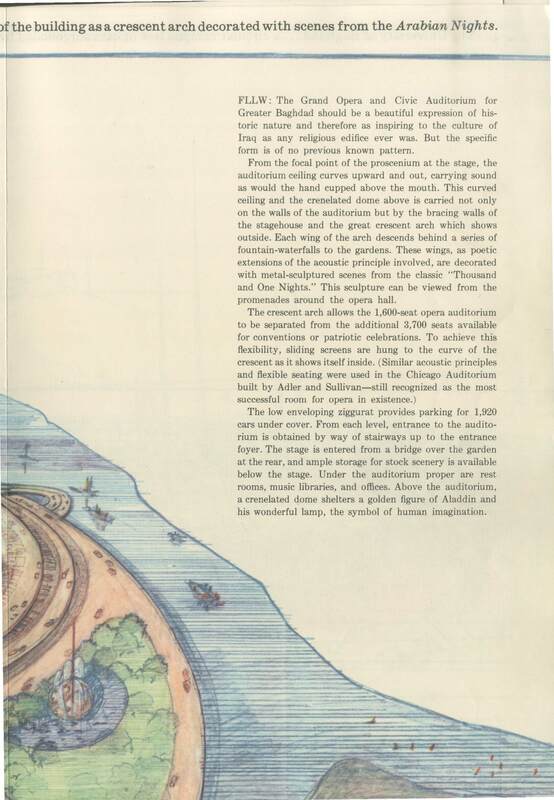 As far as I can tell from “Frank Lloyd Wright Designs for Bagdad,” Wright was invited by the Development Board of Iraq to Bagdad in 1955 to first design a Grand Opera and a Civic Auditorium. After all, these were the days of tremendous wealth in Iraq as a result of its profits from a deal made in the early 1950s with the Iraq Petroleum Company, headquartered in the U.K. The history of U.S./Iraq relations is too complex for me to attempt to understand here – but I do note that while a bomb exploded in the American Cultural Center and Library in 1951 (targeted at Jewish intellectuals using the library resources), at the same time Iraq was also already understood as a country of vast wealth and resources, for the Development Board had “at its disposal 70 per cent of the country’s enormous oil revenues [equal to $1.4 billion in a six-year program]. 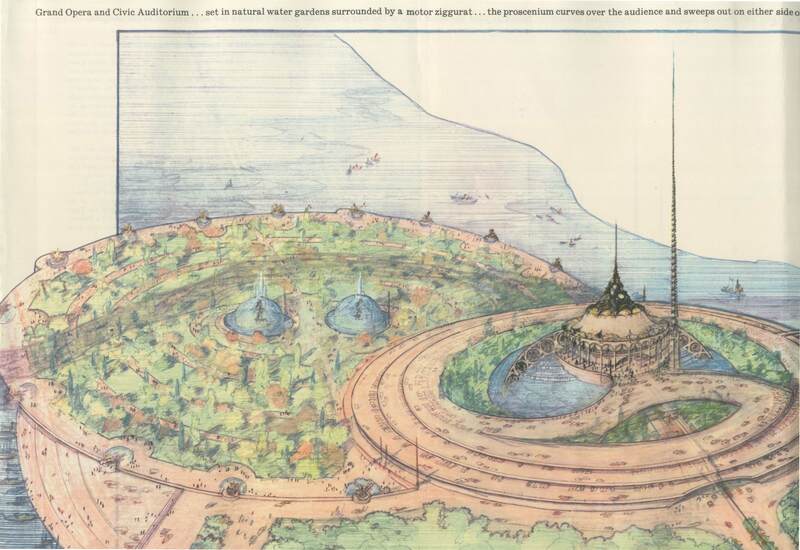 Already, the Board’s completed projects of irrigation and flood control are causing the flat desert plain to bloom again, as it did in the days of the hanging gardens and ziggurat towers of legendary Babylon”).